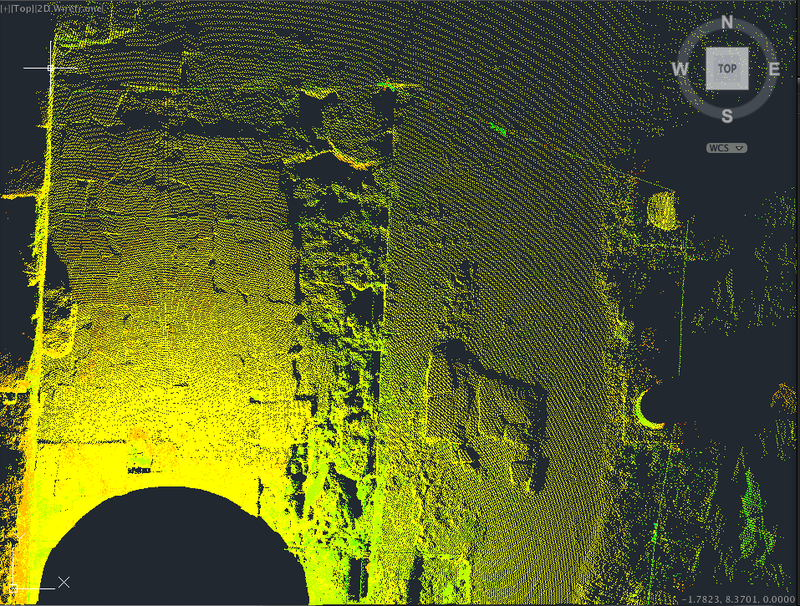 Point-clouds created by laserscanners or photography can be used for measuring and drawing profiles if they are converted into measuring- and drawing-programs. 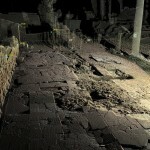 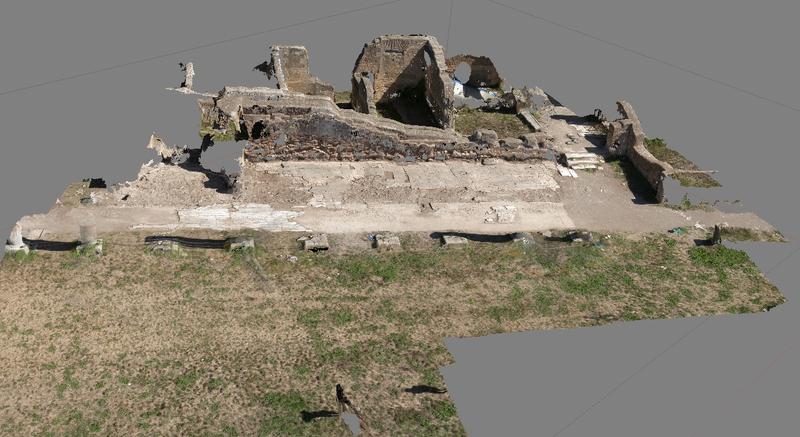 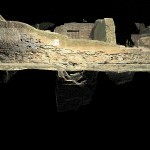 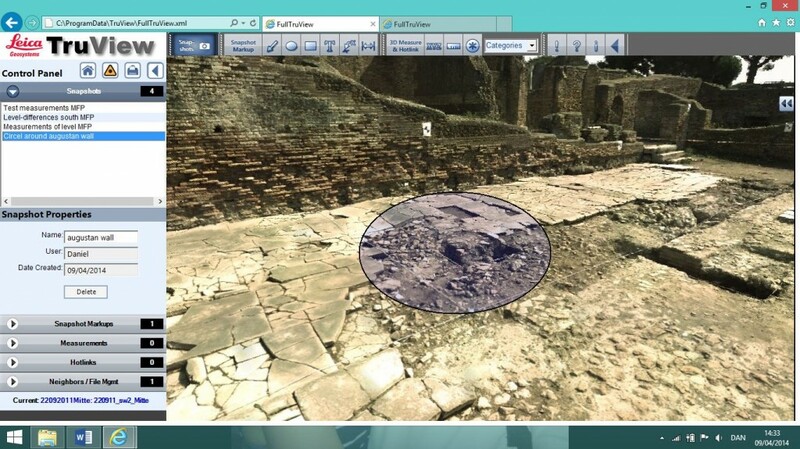 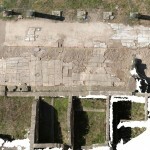 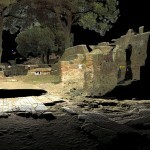 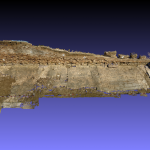 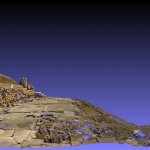 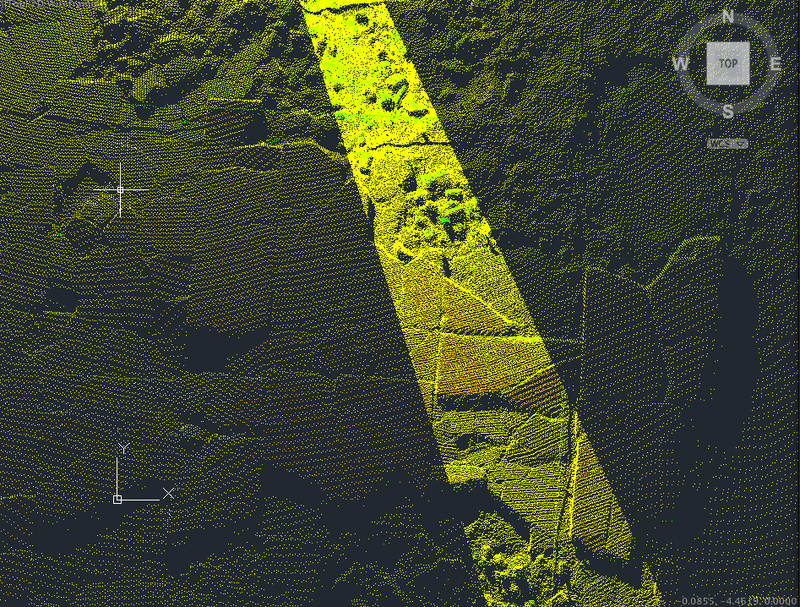 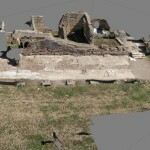 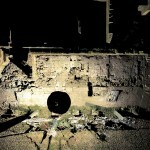 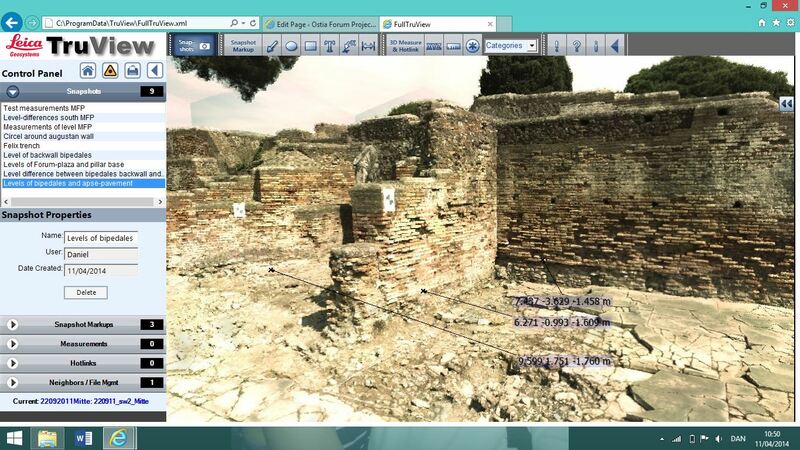 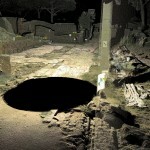 The first pictures show the point-clouds created by laserscanners. 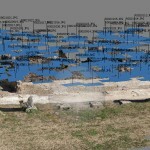 Point-clouds based on photography can have the same resolution if a sufficient number of photos is used. Scanning-software normally provides their own measuring-tools as for example the Leica TruView. 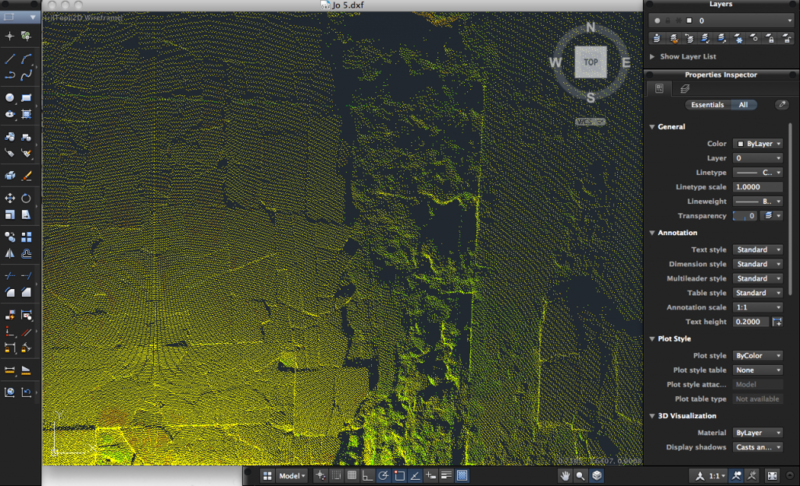 For professional purposes, as for example drawing plans, point-clouds can be exported as DXF-files. Thus, they can be used in AutoCad. 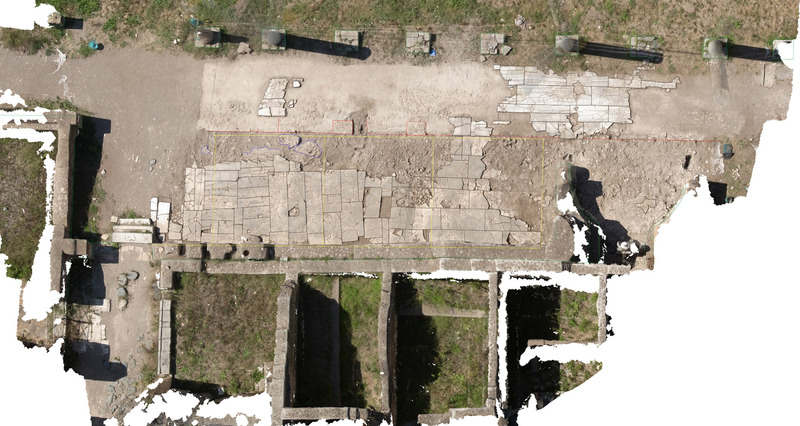 Not only plans can be drawn from above (see pictures above), but also sections (see picture below).